Acne is one of the most common skin problems that affects people of all ages. Teenagers are more prone to acne due to increased hormone levels in teenage years, but it can also affect adults of any age for many reasons. Some of the other reasons for acne may be lifestyle related due to poor diet, stress, and sleep deprivation, but it can also be hereditary. Acne occurs when the skin follicles are blocked by dead skin cells or oil from the skin. 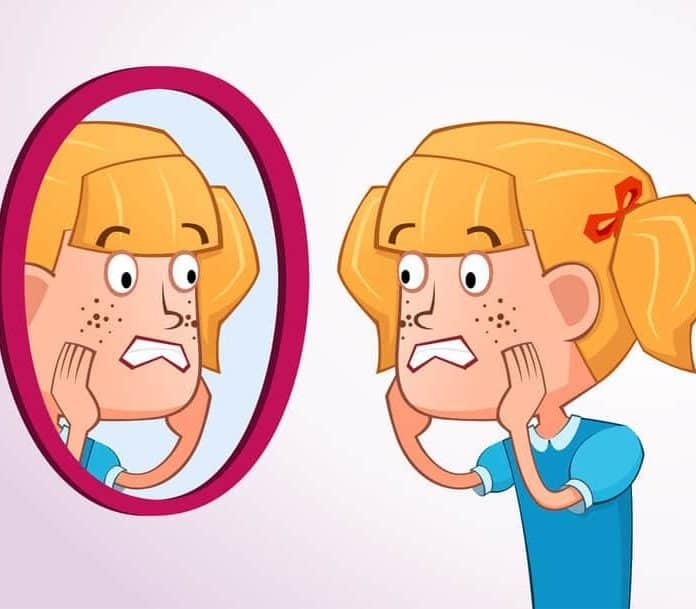 Hormones cause the skin to produce more oil which is why acne is more common in teenage years, although some people can be prone to more outbreaks than others. Acne generally appears as blackheads or pimples on the face, chest, back and scalp. There are many ways to help prevent and reduce the appearance of acne outbreaks, from medical creams and ointments, to cosmetic treatments and home remedies. Some of the most effective ways to treat acne are the simplest, and can be created from ingredients that most of us have in our cupboards. So lets take a look at the 10 simplest and most effective ways to treat acne. The main reason that acne occurs is due to your pores becoming blocked causing a build up of dead skin. It is therefore essential to regularly wash and exfoliate your skin, to make sure that dead skin particles aren’t able to build up. Baking soda, or bicarbonate of soda, which can be found in most of our cupboards, is a natural exfollient. Not only that, but it has mild anti-inflammatory and antiseptic properties meaning that it can help regulate the pH balance of the skin. In short, it is an ideal home remedy for helping to prevent and clear acne. Mix one or two tablespoons of baking soda in a bowl with some water until it becomes a paste. After several minutes wash off the mixture, making sure that you exfoliate and scrub off any dead skin. Another method you could use for particularly stubborn acne, is to add to your baking powder solution – one teaspoon of cinnamon powder, the juice of half a lemon and five tablespoons of honey. Leave this for five minutes until scrubbing off in the same way. The acidic properties in lemon juice mean that it is especially good at cleaning out the dirt that has accumulated in the pores, and hardening the sebum which protect the skin. Honey is naturally antibacterial which means that it is ideal for treating acne, whilst cinnamon is helpful at drying the skin surface to bring blood and oxygen to the outer skin surface. Using one of these solutions once or twice a week should drastically improve the appearance of your skin within a month.